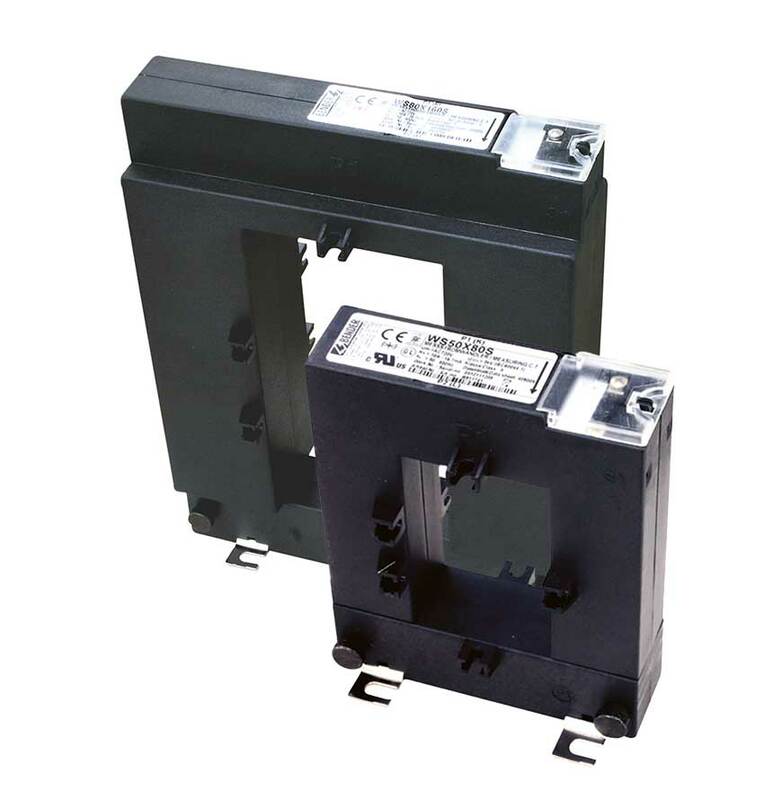 The highly sensitive split-core-type WS… series measuring current transformers convert residual currents of 10 mA…100 A into evaluable RCM or EDS signals and can be retrofitted to existing electrical installations where disconnection must be prevented. The CTs are connected to the respective evaluator by two wires. Depending on the connecting lead used, the distance between the CT and the evaluator may be up to 40 m. Make sure that all live conductors are routed through the measuring current transformer and that these conductors are not shielded. A PE conductor should never be routed through the measuring current transformer.